Gift Suggestions For Patriots; Christmas, Birthdays & Graduations 2017-2018. So you are stumped on what gift to give your favorite American Patriot. This list of gift suggestions will make your gifting process much easier. Any American Patriot will appreciate your thoughtfulness and consideration in giving them any gift from this suggested gift list. Further, each of the gifts here will serve to commemorate and/or advance the cause of Liberty. Still Further, this gift list is written with consideration of various comments made to them by his many readers. Comments like, “How do you think of this stuff?”, “Where do you get your ideas”, “I never thought of it that way?”, “You have reduced to writing, what many of the rest of us are thinking in an succinct and memorable way”, “I never thought of that issue in that way.” And my favorite, “This ‘Engineering Consent’ article is Nobel/Pulitzer Prize caliber literature”. This writer has came to realize that it is pointless to are most individual issues until we restored a common perspective of reality. Hence, it has since dawned on this writer that the best way advance the cause of liberty is to provide other patriots with some of the components, thoughts and thought processes that form his and more importantly formed the Founders’ perspective of reality. With that in mind, what follows is a list of gift suggestions for those who are buying Christmas, Birthday or Graduation Gifts for those who are Patriots, those whom they would like to inspire to be patriots, and those who been incorrectly indoctrinated by the public schools & Mainstrea Media. First on this writer’s list of Christmas, Birthday and/or Graduation Gift suggestions is John Locke’s Second Treatise of Civil Government and/or Locke’s combined Two Treatise of Civil Government. These documents explain Natural Law and Natural Rights upon which America is Founded and aspects of American Government such as “Consent of the Governed. This is the document that President James Madison strongly hinted Thomas Jefferson misappropriated portions of in drafting the Declaration of Independence.The First Treatise of Civil Government is John Locke’s rebuttal and debunking of Thomas Hobbe’s “Leviathan” arguing the legitimacy of the “Divine Right of Kings” Governance Doctrine. In this writer’s humble opinion, every patriot should read this book, and study and learn Natural Law, Natural Rights and Consent of the Governed to provide themselves the proper perspective of reality with and from which to view and communicate with the rest of the world. This writer often asserts that the first step taking back our country from the corrupt politicians is restoring a common perspective of reality based on Natural Law and Consent of the Governed to prevent the corrupt politicians from so easily dividing and conquering us. Next on this writer’s list of Christmas, Birthday and/or graduation gift suggestions is Chess. Why Chess? In this world full of duplicity and educators, politicians and government apparatchiks telling you to trust government, you need to develop some kind of “radar” to help you distinguish between truth and falsehood. The recent admissions of the Progressive Governance philosophy made by Progressive Johnathan Gruber, (Americans masses too stupid to know what’s good for them, therefore government has the right to lie to the masses) make it even more imperative that each of us American Patriots develop the ability to be able to determine truth from government lie. Chess teaches you to think a few moves ahead to outsmart, outwit and defeat your opponent. As importantly as Chess teaching you to think a few moves ahead, the process gives you an idea of how to look a few moves back. This ability to think a few moves ahead and a few moves back translates into your ability to see what our lying, duplicitous government is planning to do in the future based on what it is doing now. And this same ability allows you to look at the steps and actions the lying, duplicitous government took in the past leading up to (and hopefully telegraphing) their betrayal of the best interests of rank and file Americans. And if you are buying a chess board for a child, chess provides an excellent opportunity to spend meaningful, life altering quality time with your would-be child patriot. And Chess Boards can be as cheap or expensive a gift as you want it to be. Under $5 or several hundred dollars. And the simplicity and/or ornateness of the chess board you purchase as a gift, can make it appropriate for any occasion. And don’t forget to consider magnetic travel chess boards for those long family trips. And their are even computer versions of Chess. An added benefit is that the thought processes inherent and inspired by Chess can be applicable to all areas of a Patriots life; business, romance, vacations, investments, etc. All of these characteristics make Chess a great choice as a Christmas, Birthday or graduation gift for any current or aspiring American Patriot. These characteristics make Diplomacy make it a great choice as a Christmas, Birthday or graduation gift for any current or aspiring American Patriot. A free online version of Diplomacy may be found here. The game provide parents with many opportunities to discuss and instill values and life strategies in their children. Sid Meier’s Civilization VI (Warning – chronically addictive, seriously) is a Sci-fi based game where you lead a band of humans from the dawn of mankind to the future. This game teaches some fundamental concepts of Governance, Economics and War that may surprise to you. Perhaps most importantly, as each player plays the role of Government, it exposes the player to Government’s perspective of its rank and file citizens. This writer often incorporates in his understanding of issues and policies perspectives of how government’s think and manipulate the masses in reaching his own perspectives on real world issues and policies. A variety of other written material make great Christmas, Birthday and Graduation gifts for current and/or aspiring True American Patriots. The next amongst these (after Locke’s Second Treatise of Civil Government) is the US Constitution. This writer suggests two copies of the Constitution be given to the current or aspiring Patriot. 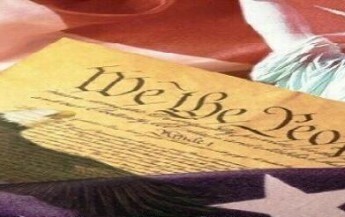 One Constitution in a frame for proudly displaying on the wall and a pocket copy to keep upon ones person for use in educating others or the patriot themselves, as they go about their daily business. • Common Sense (1776) by Thomas Paine – This pamphlet was used to promote the idea of revolution and adoption of the Declaration of Independence. Federalist Papers (1787-1788) – This is a collection of articles that folks of with a “Federalist” vision of government used in promoting the adoption of the Constitution. Anti-Federalist Papers (circa 1785 to circa 1795) – This of a collection of articles that folks wrote in opposition to the adoption of the Constitution. After the adoption of the Constitution, many of the Founder’s advised future generations to look to both the Federalists and Anti-Federalist Papers when attempting the original intent of the Framer’s of the Constitution. 5000 Year Leap (1981) – This book discusses how the United States prospered because it was established upon universal natural law principles. For those with a Video Preference, there are two movies that come to mind that would be great Christmas, Birthday and graduation gifts for current and/or aspiring Patriots. 1776 – The Musical ( 1969) – This began as a broadway play and was recorded as a movie. Though it is a musical, it is often hysterically funny while being very informative and offering incite into how consensus to Declare Independence was not so easily achieved as one my presume. The Patriot (2000) – This Movie is a fictional account of a farmer reluctantly leads the local militia during the American Revolutionary War after a British Officer orders the execution of his son. This writer often draws on concepts addressed in the 1776 and The Patriot Movies in originating and reducing to writing his perception of the events unfolding around all of us in present day America. And once the mind has been properly nourished, this Patriot writer reminds his fellow patriots that the Supreme Natural Right is Self-Preservation/Self-Defense. “What do you give a Patriot living in a country where the government takes the individual citizen’s Natural and Constitutional Rights for granted and tramples them at will?” None of our other Natural Rights can be preserved without the ability to Defend ourselves. This is why the Founders made the Right to Bear Arms, the Second Amendment. This year, more than ever, the gift of an age appropriate gun is great, and even necessary gift for an American Patriot. Fellow Patriot, events over the past few years require us to be once more attentive to our liberties and government. Tyranny is rapidly descending upon all of us… No longer can we simply vote, and forget about our governance. The one and only one Tyrant Class pretending to be 2 major political parties have rigged the electoral process. If we do nothing, our children will suffer most of all. With that in mind, this writer has created these gift certificates for you to give to your children to demonstrate to them the depth of your love and commitment to them. Gift Certificate to Patriot WITHOUT visit Legislator verbiage. These files are on ScribD.com and are fully down loadable. They are in MS Word format so you can edit the to your tastes. It is suggested you print these on colored paper appropriate to the occasion. Why not make one of these Certificates your New Year’s Resolution also and kill two birds with one stone? Hope these gift suggestions for Patriots helped. Merry Christmas, Happy Birthday or congratulations as appropriate for your current gift giving quandary. ← My Responses to President Trump’s “America Speaks Survey”!